Sky Burner Kites expresses our sincere thanks to all of our loyal customers over the past 26 years. We always take pride in bringing you the highest quality American made products, with that in mind; it is our sincere pleasure to announce that Steve Tapp, of Tappestry Kites, will now be sewing the Widow Maker and the Solus. Both of these kites, in addition to the Pro Dancer SUL, will be hand built by Jon Trennepohl. Combining the skills of these two master kite makers, we believe that our product line will continue its tradition of bringing the consumer a quality product with expert craftsmanship. We look forward to continuing to do business with all of our customers, by providing exceptional products and customer service. We are also excited to announce the Fulcrum Quad Kite designed by Carl Robertshaw and developed in collaboration with Jon Trennepohl. Sky Shark Tubes remain abundant and available. Please continue to visit this site for updates. For additional products please visit www.kitesandfunthings.com. 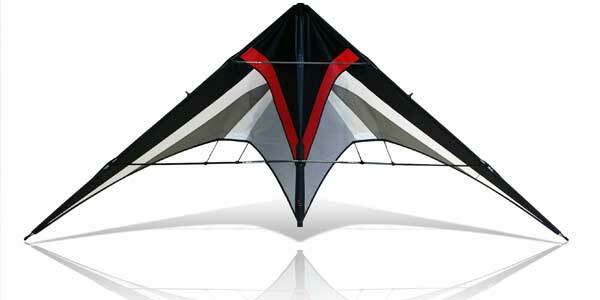 Check out the latest evolution in flying. The SOLUS, like nothing you have seen before.